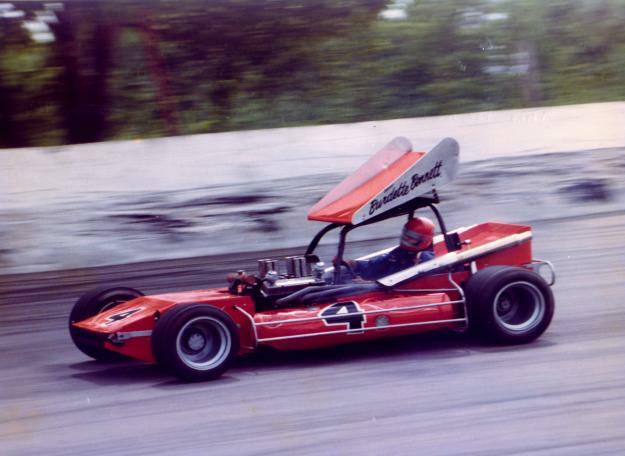 A Lyn Johnson photo of the first car that Burdette and his brother built. It never did handle very well, but not bad for a first try. This picture is from Berlin, 1976. 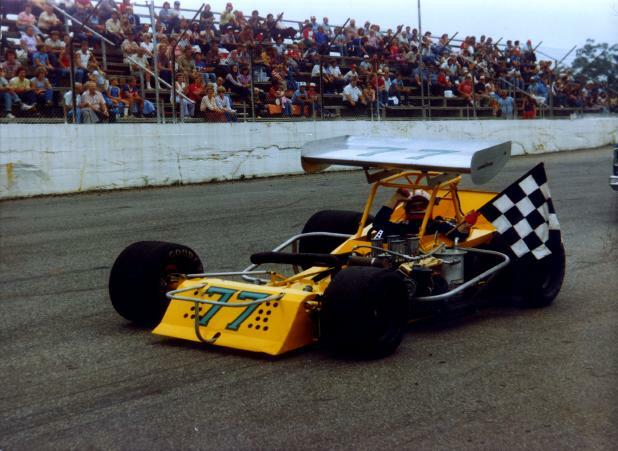 A Ray's Racing Photos picture of a Bennett win in the 2nd car that Burdette built. George French from Battle Creek helped him put this car together. This shot was taken the second weekend at Kalamazoo, 1981. 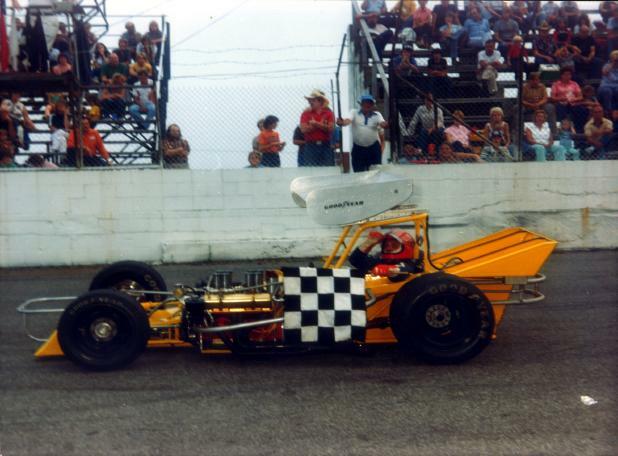 A Ray's Racing Photos picture of Burdette winning again. Third weekend at Kalamazoo, 1981. A Ray's Racing Photos picture of Burdette at Berlin in 1982. 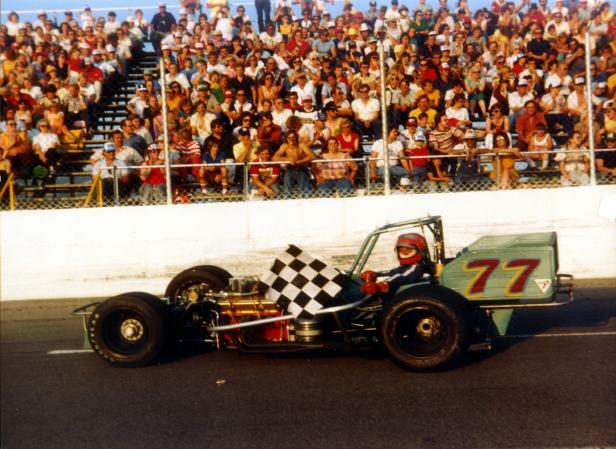 This particular win is a heat race in which Burdette beat out Tom Bigelow. Later, in the feature, Burdette again was doing well only to bump with Bigelow and have to drop out. Bigelow, incidently, won. 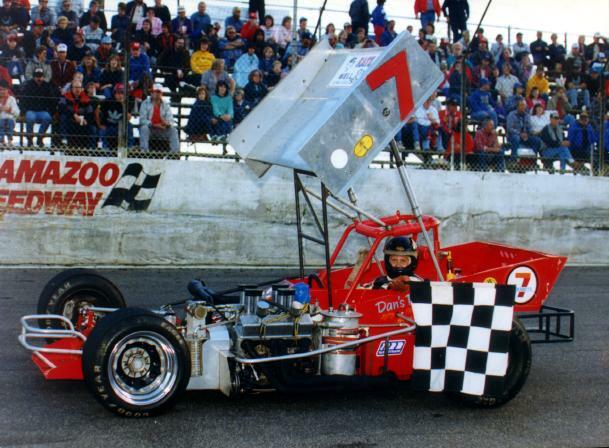 A Tom Devette photo of Burdette winning in 1986 at Kalamazoo. Sweet looking car!